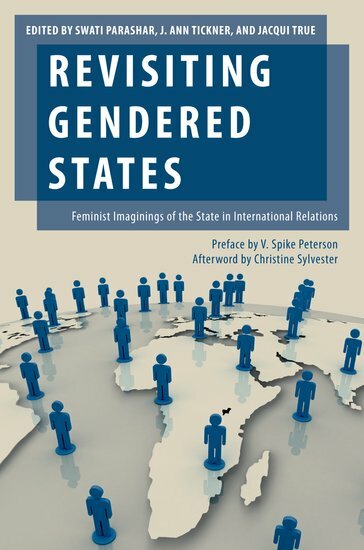 Two decades ago, V. Spike Peterson published a book titled Gendered States in which she asked, what difference does gender make in international relations and the construction of the sovereign state system? In the intervening years, a wealth of feminist scholarship has responded to her question, but in doing so, has looked past the nation state to consider the gendered dimensions of issues such as human rights, nationalist movements, development, and economic globalization. Moreover, since 2001, feminist international relations has also focused on international security, forging a new subfield of feminist security studies that revisits more traditional IR topics such as war and national security, albeit from very different perspectives. With a preface by V. Spike Peterson, this book aims to connect the earlier debates of Peterson's book with the gendered state today, one that exists within a globalized and increasingly securitized world. Bringing together an international group of contributors from the Global South, United States, Europe, and Australia, this volume will answer three overarching questions. First, it will answer whether the concept of a "gendered state" is generic or if some states are particularly gendered in their identities and interests, and with what implications for the type of citizenship, society, and international security. Second, it will look at the continued theoretical significance of the gendered state for current IR scholarship. And, finally, it will explain to what extent postcolonial states are distinctive from metropolitan states with regard to gender. Including scholars from International Relations, Postcolonial Studies, and Development Studies, this volume collectively theorizes the modern state and its intricate relationship to security, identity politics, and gender.